This article was written on 28 Mar 2013, and is filed under Gaza Report. I have just arrived in Gaza for my maiden visit and I want to share my experience of getting here by means of this how-to guide on how to cross into the Strip. I came from Britain with a human rights-orientated purpose in Gaza, and so my how-to guide is most appropriate for those in a similar situation. 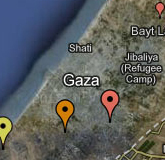 The Gaza Strip has three crossing points; two are designed for civilian entry and exit. The first, ‘Erez’, is controlled by Israel and is under near-total lockdown. The other, ‘Rafah’, borders with Egypt and is essentially under Egyptian control. 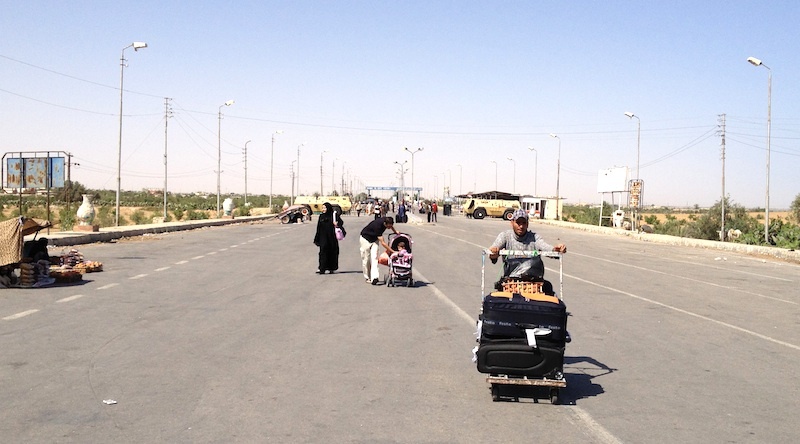 The Rafah Border Crossing (‘Rafah’) is open at least 5 days per week and is the size of a small airport terminal. On each operating day, Palestinians and internationals attempt to enter and exit the Strip. For Palestinians, entry and exit via Rafah is renowned as one of the most cumbersome and bureaucratically difficult crossing points in the world. Rafah also represents an often difficult crossing for internationals too, but this how-to guide will help with many of the tiring details in getting to Gaza. With this guide, visiting Gaza (via Rafah) should be substantially more simple and straightforward. You need a pretext to enter Gaza. As the situation stands, you cannot simply visit Gaza for ‘tourism’. Perhaps you will volunteer with the International Solidarity Movement (ISM) to help document human rights abuses. Whatever the purpose of visiting, you need a signed letter from a notable Gaza-based organisation (like ISM) to personally invite you for a set period of time. This organisation is sometimes referred to as your ‘host’. You then, via email, submit your personal details, the dates of your planned visit and the letter of invitation from your host to the Egyptian embassy in London. Within 2–3 weeks you will receive a permission letter from the Egyptian Foreign Ministry; this permission letter permits you to use the Egyptian side of the Rafah crossing. Book your flight to Cairo International Airport. Return tickets start at about £250 with the Egyptair airline (or similar); return tickets start at £380 if you book at the last minute. Fly from London Heathrow (or similar) to Cairo’s airport. The flight usually takes about 5hrs. Your ‘guide’ will be someone who you will have previously organised to kindly act as your guide in Gaza and will likely be your contact at the host organisation that invited you to Gaza. Your guide (or someone from your host organisation) needs to visit the Residence and Foreigners Affairs Admin office of the Ministry of Interior & National Security about a week before your arrival to apply for your Palestinian Entry Permit. The Palestinan National Authority needs to have issued your Entry Permit for you to be permitted entry. Make a printed copy of the Entry Permit for your possession. On arriving at the airport you will need to purchase an Egypt entry visa ($15 or ~100 EGP [£10]) before you can pass through the passport control stations. Take a taxi from Cairo’s airport to the centre of Cairo. Such a journey normally costs £20. (Optional) Take a night’s rest in Cairo. Cheap hotels start at around £9 per night. Take a taxi from Cairo to the Rafah crossing. This long-distance journey usually takes 6 hours so one hires a private driver, costing about £45. Drivers like to start the journey at about 3am to arrive at Rafah as the crossing opens at 9am. Your driver will likely stop two-thirds of the way through the journey to have breakfast at a cafe-restaurant. A driver can be sourced by your hotel in Cairo, or perhaps by a personal contact of yours in Cairo. On arriving at Rafah, show your passport, the Egyptian permission letter, the Palestinian Entry Permit and the Gazan-based organisation invitation letter to the guard at the gate. You will have to wait for between 10 minutes and 1 hour while they authenticate your documents. On completion, they will invite you to enter the crossing through the gates. Follow the flow of pedestrians and enter the Egyptian side’s Rafah terminal building. Go to the Passport Control desk and get a non-Egyptian entry form. Fill it in and get it stamped (for 2 EGP [£1]). Take the entry form, your passport and your two (permission and invitation) letters back to the Passport Control desk. Your details will once again be checked. You will usually have to wait for an hour before your name is shouted out by a Passport Control agent. You may need to sit or stand particularly close to the Desk so you don’t miss hearing your name being announced, as the public announcement system is intermittent. Once your name is called out you will be given back your passport which will have been stamped with an Egypt exit stamp beside an Egypt entry stamp you received at the airport. Proceed through the terminal building, passing through another Egyptian guard desk; your passport will be checked for an exit stamp and a guard will want to read your permission and invitation letters. Before you exit the Egyptian side’s terminal you will need to pay for an exit ticket (105 EGP [£11]). Enter the Palestinian side’s terminal building and present your passport and two letters to an officer at one of the passport control booths. Security officers will ask you to be seated while they ask you a few questions on the purpose of your visit, the location of your Gaza accommodation and which Gazan will be guide. 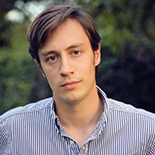 It will take between 5-30 minutes to satisfactorily verify your story. Ask the officers to place a telephone call to your guide to invite them into the terminal to collect you and help validate your story. Your guide and you will complete a form about your visit. You may also be asked to fill in an exit registration form, informing authorities of the date on which they should expect to receive you at the border to exit into Egypt. On the forms’ completion you will be given a Palestinan entry stamp and then continue through the terminal. You have successfully entered the Strip. You will then probably want to take a taxi to your specific destination in Gaza with your guide. Cost in total: £340 (flight booked in advance) or £470 (flight booked at the last minute). Travel time in total: 25 hours.